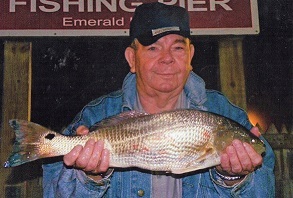 James Elwood Honeycutt of Wendell, 76 years of age, passed away on April 6, 2019. He was the son of James “J. D.” Daniel & Lois Alford Honeycutt. James was a US Army Veteran, 82nd Airborne. He graduated Kings College in 1977 with an Associates Degree in Business Management. He was a master welder as well as Truck Driver until he retired at the age of 60. He is survived by his wife of 43 years, Lek Honeycutt and children, Robert Blake, Charles Honeycutt, Carla Stephens, Larry Leavister, and Sandra Parnell, 11 grandchildren & 6 great grandchildren. He was a master hugger too. He always made me feel loved at Tabernacle where we went for about 5 years or more. My one regret was not going back to see him. He was a bright spot in my life. Thank you for sharing him with us Lek.